N 49° 15' 0" and E 4° 1' 59"
Reims in Marne (Grand-Est) with it's 196,565 citizens is a place in France about 81 mi (or 130 km) east of Paris, the country's capital city. Current time in Reims is now 07:20 PM (Monday). The local timezone is named Europe / Paris with an UTC offset of 2 hours. We know of 13 airports near Reims, of which 5 are larger airports. The closest airport in France is Reims-Champagne (BA 112) Airport in a distance of 4 mi (or 7 km), North. Besides the airports, there are other travel options available (check left side). There are several Unesco world heritage sites nearby. The closest heritage site in France is Cathedral of Notre-Dame, Former Abbey of Saint-Rémi and Palace of Tau, Reims in a distance of 0 mi (or 0 km), North. If you need a hotel, we compiled a list of available hotels close to the map centre further down the page. While being here, you might want to pay a visit to some of the following locations: Epernay, Rethel, Chalons-en-Champagne, Laon and Vervins. To further explore this place, just scroll down and browse the available info. Let's start with some photos from the area. 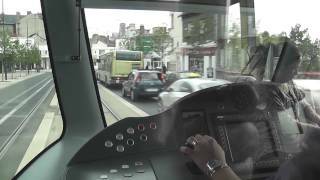 Tramway de Reims (2) - Destination Neufchâtel. Ligne A, de la Médiathèque Croix Rouge à Langlet. Reims, France 4 juin 2011. Ce diaporama vous fait découvrir les extérieurs de ce chef d' oeuvre de l'art gothique dont le symbole est l'Ange au Sourire et qui a fêté ses 800 ans. 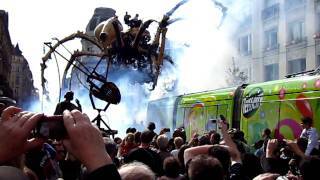 Jour de l'inauguration du TRAM -Kumo L'araignée Géante-Reims-16 avril 2011. 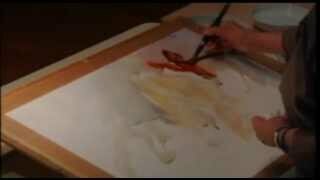 Démonstration aquarelle Lélie Abadie Reims 2012 par www.aquarellereimsevenement.com. 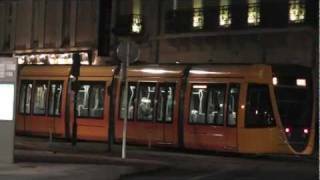 Tramway de Reims By night - Ligne A et B Reims, France, 4 juin 2011. 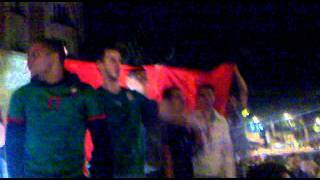 Les Marocaines de Reims après le match Maroc 4 - 0 Algérie. Reims-Gueux (1926-1951) or Reims (1952-1972) was a triangular motor racing road course near Reims, France, which hosted 14 French Grands Prix. Reims-Gueux was first established in 1926 on the public roads between the small French villages of Thillois and Gueux. The circuit had two very long straights between the towns, and teams strove to maximize straight-line speed of their cars; many slipstream battles ensued. Located at 49.2542, 3.93083 (Lat. / Lng. ), about 5 miles away. 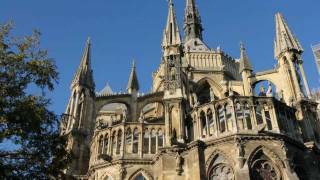 The Roman Catholic Archdiocese of Reims is an archdiocese of the Latin Rite of the Roman Catholic Church in France. Erected as a diocese around 250 by St. Sixtus, the diocese was elevated to an archdiocese around 750. The archbishop received the title "primate of Gallia Belgica" in 1089. In 1023, Archbishop Ebles acquired the Countship of Reims, making him a prince-bishop; it became a duchy and a peerage between 1060 and 1170. Located at 49.2536, 4.03417 (Lat. / Lng. ), about 0 miles away. Stade Auguste-Delaune is a multi-use stadium in Reims, France. 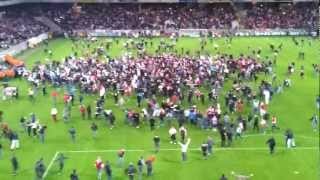 It is used mostly for football matches and hosts the home matches of Stade Reims. Located at 49.2467, 4.025 (Lat. / Lng. ), about 0 miles away. Porte Mars is an ancient Roman triumphal arch in Reims, France. It dates from the third century AD, and was the widest arch in the Roman world . Located at 49.2606, 4.02994 (Lat. / Lng. ), about 1 miles away. The Palace of Tau (French: Palais du Tau) in Reims, France, was the palace of the Archbishop of Reims. 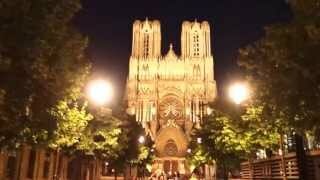 It is associated with the Kings of France, whose coronation was held in the nearby cathedral of Notre-Dame de Reims. A large Gallo-Roman villa still occupied the site of the palace in the 6th and 7th centuries, and later became a Carolingian palace. The first documented use of the name dates to 1131, and derives from the plan of the building, which resembles the letter Τ. Located at 49.2531, 4.03444 (Lat. / Lng. ), about 0 miles away. The Abbey of Saint-Remi is an abbey in Reims, France, founded in the sixth century. Since 1099 it has conserved the relics of Saint Remi (died 553), the Bishop of Reims who converted Clovis, King of the Franks, to Christianity at Christmas in AD 496, after he defeated the Alamanni in the Battle of Tolbiac. The present basilica was the abbey church; it was consecrated by Pope Leo IX in 1049. Located at 49.2431, 4.04194 (Lat. / Lng. ), about 1 miles away. Complexe Sportif René Tys is an indoor sporting arena located in Reims, France. The capacity of the arena is 3,000 people. It is currently home to the Reims Champagne Basket basketball team. Located at 49.2436, 4.02528 (Lat. / Lng. ), about 1 miles away. Gare de Reims is the main railway station in the city of Reims, Marne department, northern France. Services are provided by the SNCF under its branded TER Champagne Ardenne and TER Picardie networks to Châlons-en-Champagne, Dijon, Épernay, Paris and Strasbourg, Charleville-Mézières, Laon, Amiens and La Ferté-Milon. Located at 49.2592, 4.02417 (Lat. / Lng. ), about 1 miles away. Reims – Champagne Air Base (French: Base aérienne 112 Reims-Champagne) is a former Front-line French Air Force (French: Armée de l'Air NATO air base. 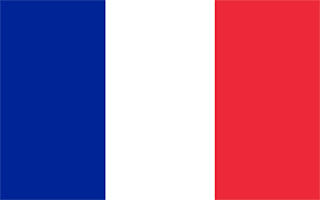 The base is located approximately 4 miles north of Reims; about 81 miles northeast of Paris. Located at 49.3103, 4.05083 (Lat. / Lng. ), about 4 miles away. 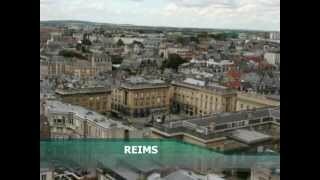 Rheims University which official name is University of Reims Champagne-Ardenne' (URCA) is a French university, in the Academy of Reims. It was established in 1960, as the successor of Rheims University, one of the most important European universities of the middle ages, which was established in 1548 and closed in 1793. Located at 49.2519, 4.0375 (Lat. / Lng. ), about 0 miles away. The Jardin botanique de la Presle (2 hectares), also known as the Centre botanique de la Presle, is a botanical garden located in La Presle, Nanteuil-la-Forêt, Marne, Champagne-Ardenne, France. It is open daily except Sunday; an admission fee is charged. The garden began as an outgrowth of a private nursery, and evolved over the years in response to travels to Kyrgyzstan, eastern Anatolia, the Balkans, and the Sierra Nevada. Located at 49.0989, 3.86889 (Lat. / Lng. ), about 13 miles away. The chapel of Our Lady Queen of Peace, or Foujita Chapel, was constructed in 1965-1966 at Reims, France. The chapel was conceived and designed by the artist Tsuguharu Foujita, and is famous for the frescos he painted in the interiors. The chapel was consecrated in 1966, and in 1992 was listed as an historic monument of France. Located at 49.2642, 4.03806 (Lat. / Lng. ), about 1 miles away. Reims – Prunay Aerodrome (French: Aérodrome de Reims - Prunay) is an airfield serving the city of Reims. It is located 10 km east-southeast of Reims, near Prunay, both communes in the Marne department in the Champagne-Ardenne region in northeastern France. It is a class D aerodrome open to general aviation traffic with no commercial airline service scheduled. Also, it hosts the factory of Reims Aviation. Located at 49.2086, 4.15667 (Lat. / Lng. ), about 6 miles away. The Carnegie Library of Reims (French: Bibliothèque Carnegie de Reims) is a public library built with money donated by businessman and philanthropist Andrew Carnegie to the city of Reims after World War I. Reims was one of three "front-line" cities to be given a Carnegie library, the other two being Leuven and Belgrade. Built in the 1920s, it combined the mission of heritage conservation and of reading public library. Until 2003, the Carnegie Library was the main library of Reims. Located at 49.253, 4.03545 (Lat. / Lng. ), about 0 miles away. Gare de Muizon station is a railway station located in the French municipality of Muizon, in the département of Marne. Located at 49.2782, 3.891 (Lat. / Lng. ), about 7 miles away. The Museum of Fine Arts (Musée des beaux-arts) is a fine arts museum in the French town of Reims. Located at 49.2533, 4.03083 (Lat. / Lng. ), about 0 miles away. The Hôtel de ville is the town hall in the French city of Reims. Previously housing a museum, the city archives, a savings bank, a library, the city police, a tribunal and the chamber of commerce, it now only houses municipal services. Located at 49.258, 4.03171 (Lat. / Lng. ), about 1 miles away. Notre-Dame de Reims (Our Lady of Rheims) is the Roman Catholic cathedral of Reims, where the kings of France were once crowned. It replaces an older church, destroyed by a fire in 1211, which was built on the site of the basilica where Clovis was baptized by Saint Remi, bishop of Reims, in AD 496. That original structure had been erected on the site of the Roman baths. As the cathedral it remains the seat of the Archdiocese of Reims. Montagne de Reims Regional Natural Park is a protected area in the Champagne-Ardenne region of France. It is organized around the Montagne de Reims, a wooded range of hills covered by vineyards that produce the region's eponymous sparkling wine, Champagne. The area was officially designated as a regional natural park in 1976 with a total land area of 50,000 hectares . Located at 49.1575, 3.91111 (Lat. / Lng. ), about 8 miles away. These are some bigger and more relevant cities in the wider vivinity of Reims.